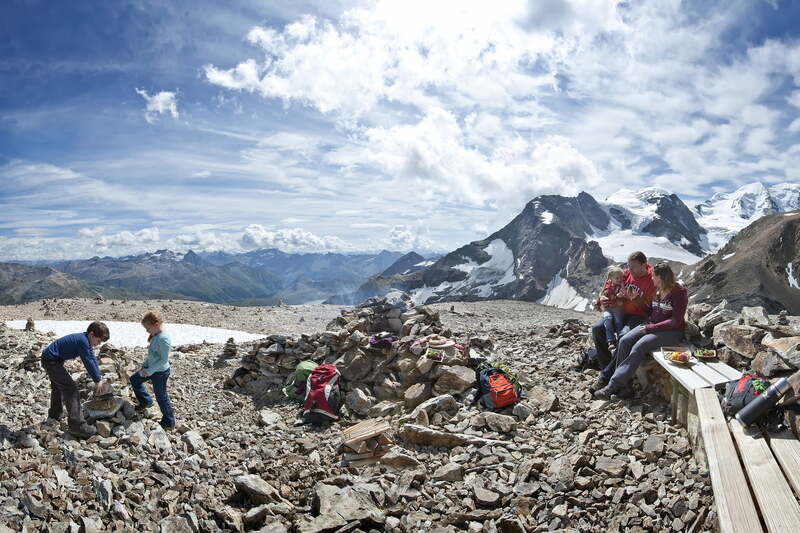 Equipped with picnic basket, wood, meat and anything else you could wish for at a barbecue, you will reach Europe’s highest barbecue site at 3,066 metres above sea level on foot within 40 minutes. Enjoy a tasty barbecue at one of the most extraordinary barbecue sites anywhere. Book our Magical Fire- package and let us arrange the perfect "BBQ experience" for your total enjoyment. The walk from the Diavolezza top station to Sass Queder takes around 40 minutes. Use of the barbecue site is free.